Mick tags along on a case involving a werewolf. The victims are a brother and sister. Hayden and Ben Foster are the siblings. He is killed and she survives the attack. Dean doesn’t want Mick to go with them but agrees in the end and tells Sam he’s babysitting Mick. When they get to the town they find out Claire Novak is there working the case. The boys aren’t happy to find out she’s hunting along and that Jody doesn’t know she is. Sam, Dean, and Mick visit Hayden in the hospital. The boys are told by her mother that they can’t question her. Mick comes in a doctor’s coat and gets her mother to leave. He examines the girl and realizes it might be too late for her, and he lies to the boys about the injuries he saw on her. He goes back that night to deal with her and winds up killing her. Dean is not happy about what Mick has done. Of course, Dean is going to be even more angry when he finds out that Mr. Ketch has been going behind their backs and killing the creatures they let live and Mick knows. Claire and Sam go to talk to Hayden’s friends while Mick and Dean go question the bartender about Hayden. The bartender Justin tells them to ask Conner the new bartender about Hayden. Claire tells Sam to stay in the car. He asks why. She tells him because they would talk to her before talking to him because of his age. She then gets the information they needed. The wolf attacks and bites Claire, and then Dean suspects that Conner is the wolf. She begs them to end her life because she doesn’t think she’ll be able to control the change. Dean refuses but Sam sides with her when she says it’s her decision to make not theirs. 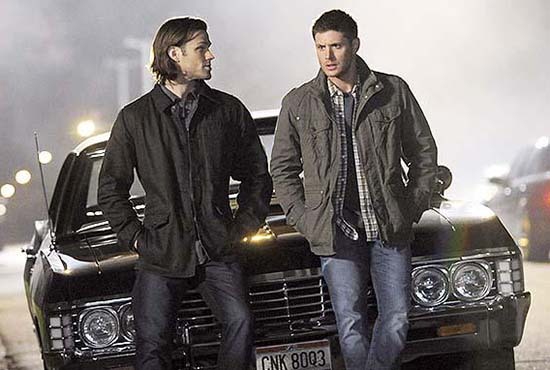 Dean and Sam go after Conner to get his blood because of a cure Mick says the British Men of Letters have. They find out it’s not Conner. They go back to the hotel to find Claire gone after the wolf had knocked Mick out. The three of them go after them. Thanks to Mick slipping a tracking device into Claire’s clothing they are able to find them quickly. Mick kills Justin when he goes to attack Dean again. He takes Justin’s blood and gives Claire the cure. It works and she wakes up human again. Next week’s episode Sam and Dean get a lead on Kelly Kline’s whereabouts. Mick drops by the bunker and goes with them.